Our latest pattern is here! Prepare for a fall feast with an adorable assortment of traditional autumn foods. Felt roast turkey you can tuck, stuff, baste, dress, carve and serve. Snap felt green beans and add to the felt baking dish. Cube the felt yams and add marshmallows and pecans for candied yams felt food style. Serve up some felt food stuffing, cranberry sauce and mashed potatoes. Finish your felt Thanksgiving feast with adorable felt pecan and pumpkin pies. Instantly downloadable pattern includes over 150 full color photos and illustrations to help you produce incredible results. For a limited time only pattern includes $5 supply credit and details on how to get your next pattern completely FREE! 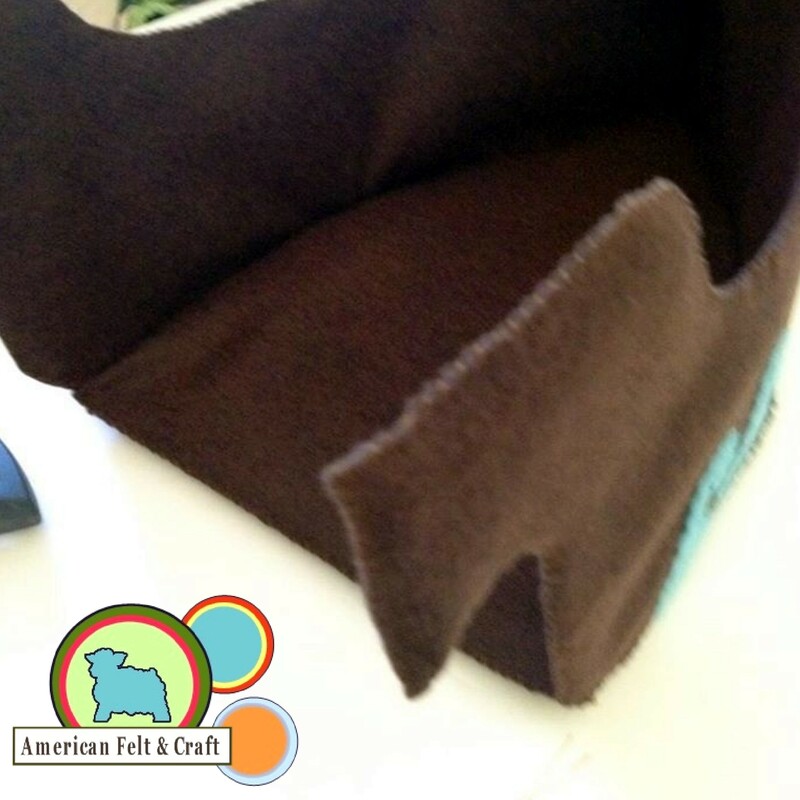 Check out Felt Feast on sale at American Felt and Craft. Jumping into a pile of crunchy fall leaves is one of the time-honored traditions of fall. Bring the fall fun with you with these adorable crunchy crinkle leaves. This step by step pattern and tutorial will take you through the creation of the cutest trio of crunchy felt leaves you’ve ever had the pleasure of cavorting with. Two of each of the leaf shapes, 6 eye shapes and 6 cheek shapes. Cut the crinkle material into a rectangle slightly larger than your leaf. Stitch the crinkle to one side of each leaf-shaped as marked in grey on the template. A running stitch or a back stitch works well for this project for more on stitches see THIS POST. 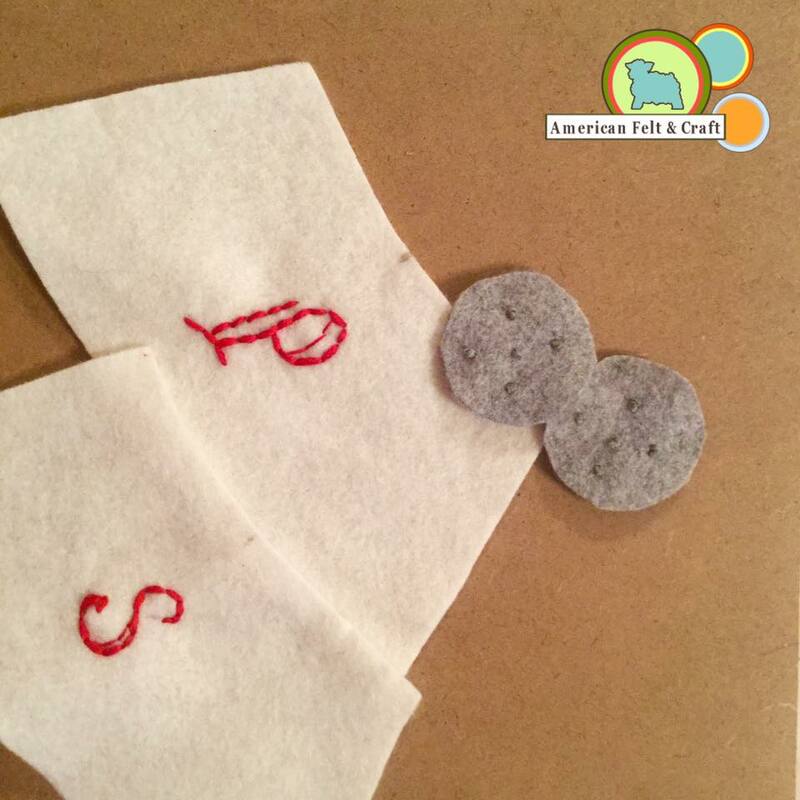 Sew face to mirroring side of lead shape using matching thread and a running stitch. Stitch smile with black thread. Sew face side to vein side using an overcast stitch. Gather all the leaves of your family tree together this fall with fall leaf place settings. These easy DIY felt leaves will last the test of time and make a beautiful and timeless addition to any table setting. Best of all they sew up quick and easy. Names printed out- I used font called Perfume Classic at 36 point but you can customize the font and size to work with your style. Cut two of each leaf shape for each name card. Carefully cut a rectangle from the center of one of the leaves. Check to make sure the name will fit. Place a larger scrap of vinyl over the rectangle and sew into place using a running stitch. 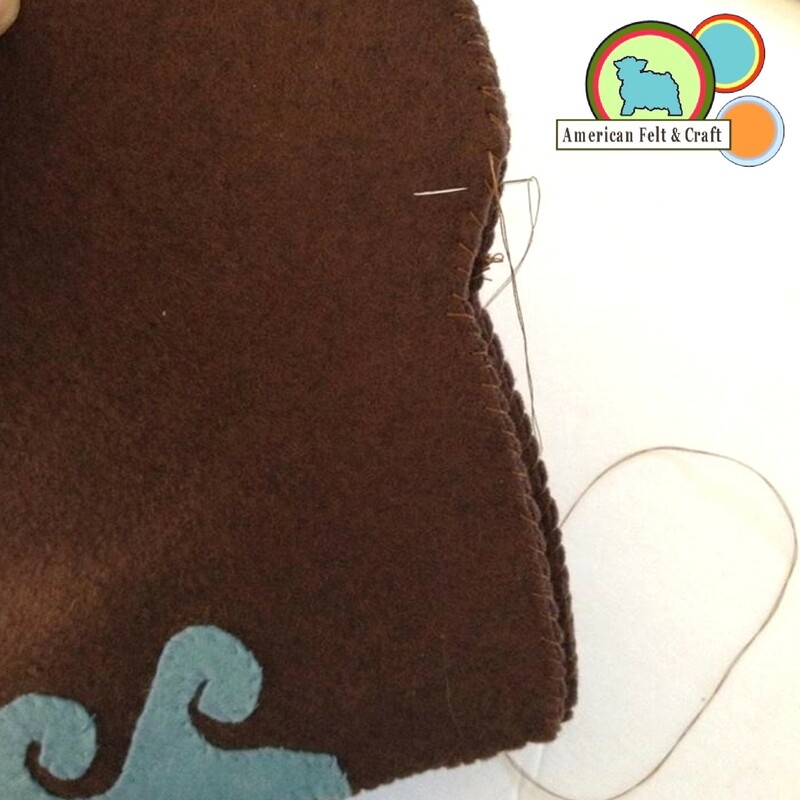 Place leaf sides together and sew along the edges with a running stitch and matching thread. Slip name into rectangle before closing. That’s all you need to whip up a big batch of felt foliage for your fall table. DIY no sew felt sunflower magnets. Salt and Pepper’s here! 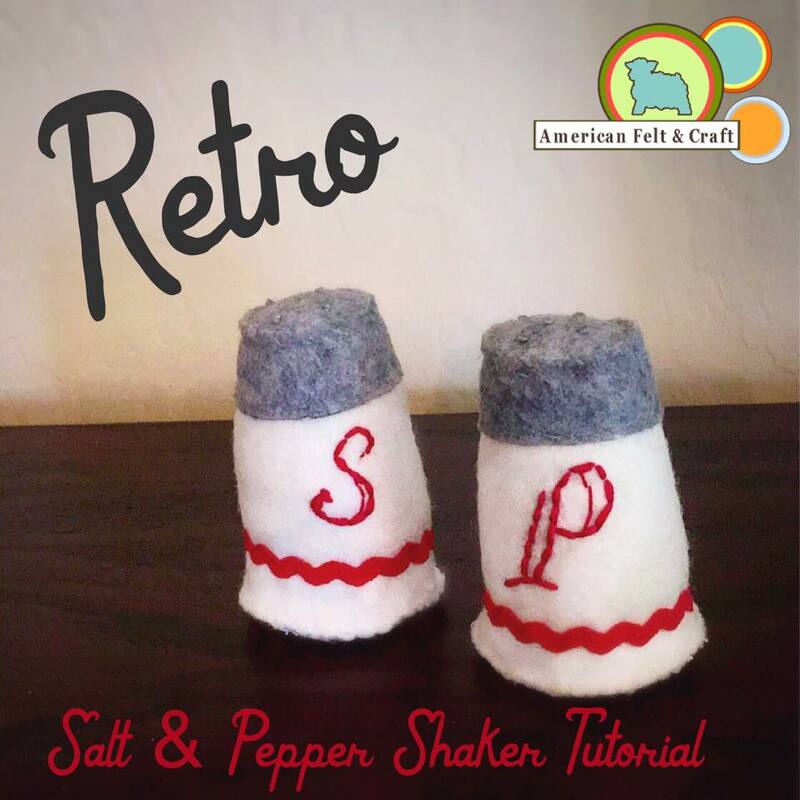 Interactive felt salt and pepper shaker tutorial. Cut shaker bodies and shaker bases from white felt. Lightly trace the letters onto the center of the shaker bodies with a pencil. I am not skilled at embroidery so I fake it with short back stitches. The good news here is yours is bound to look WAY better than mine. Stitch out the letters I used 5 strands for the thick parts and 3 for the lighter lines. 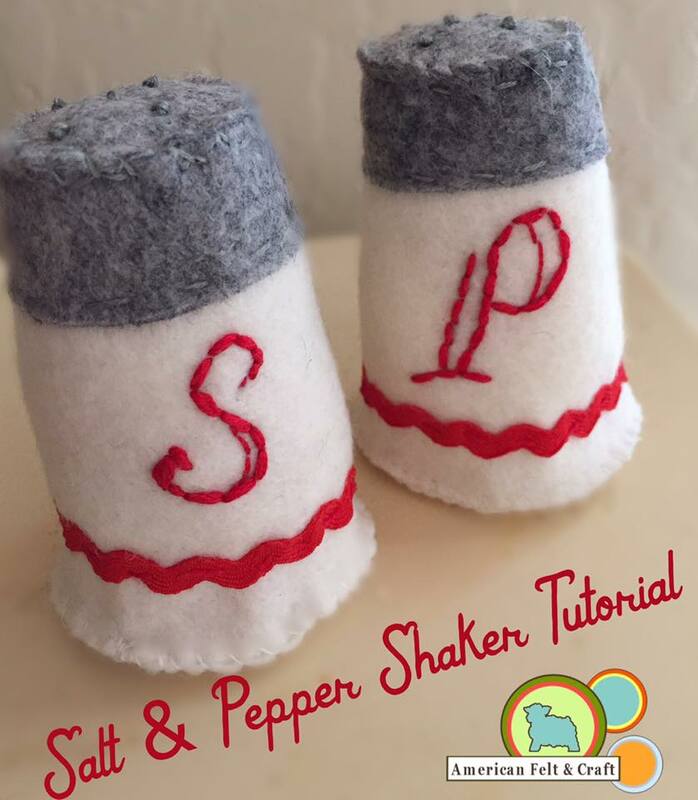 Add dots onto the shaker tops with French knots and grey thread. 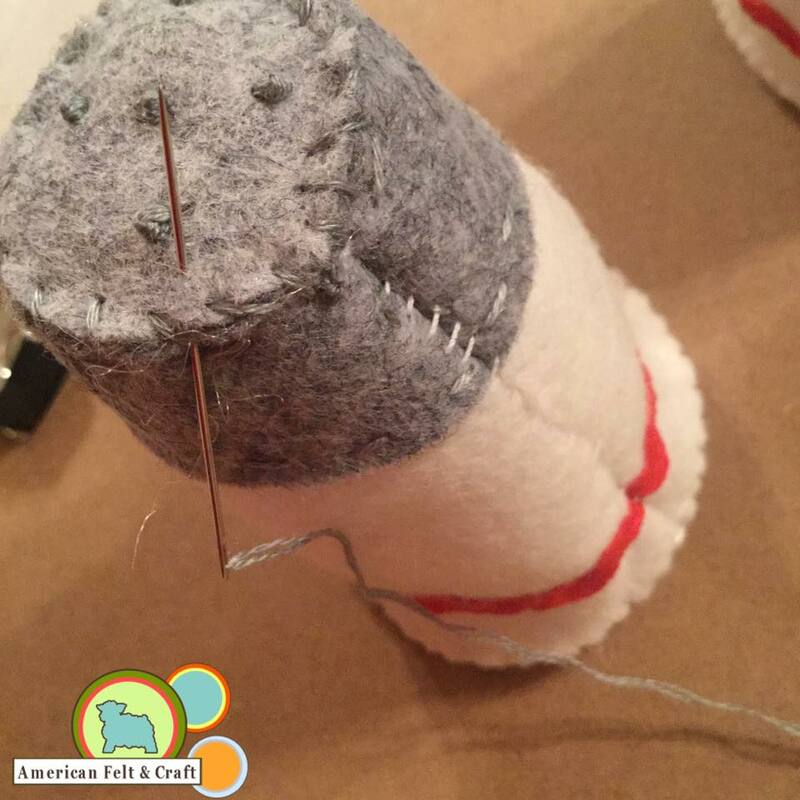 Stitch shaker rims to the top of each shaker with grey thread and a running stitch. 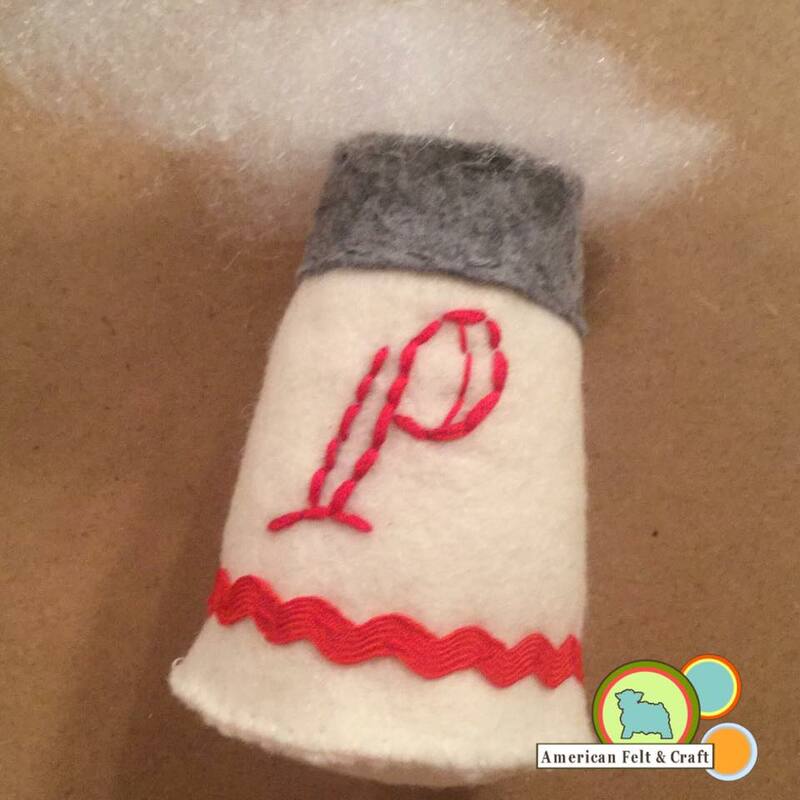 Stitch red ric rac to the front of the shakers about 1/4 inch from the base. 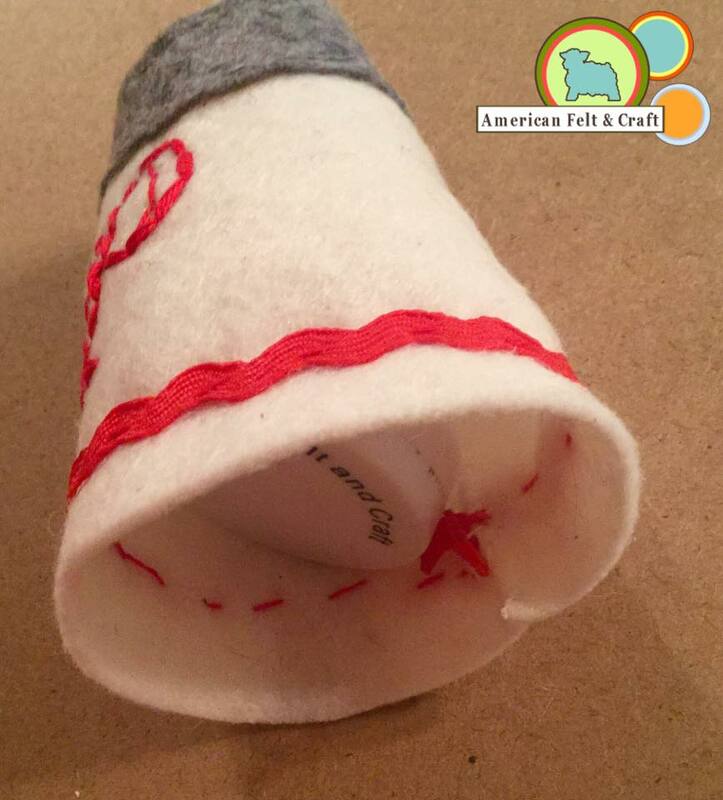 Turn shakers inside out and overcast stitch up the long edges with a sturdy white thread. Insert a large rattle into base of each shaker. 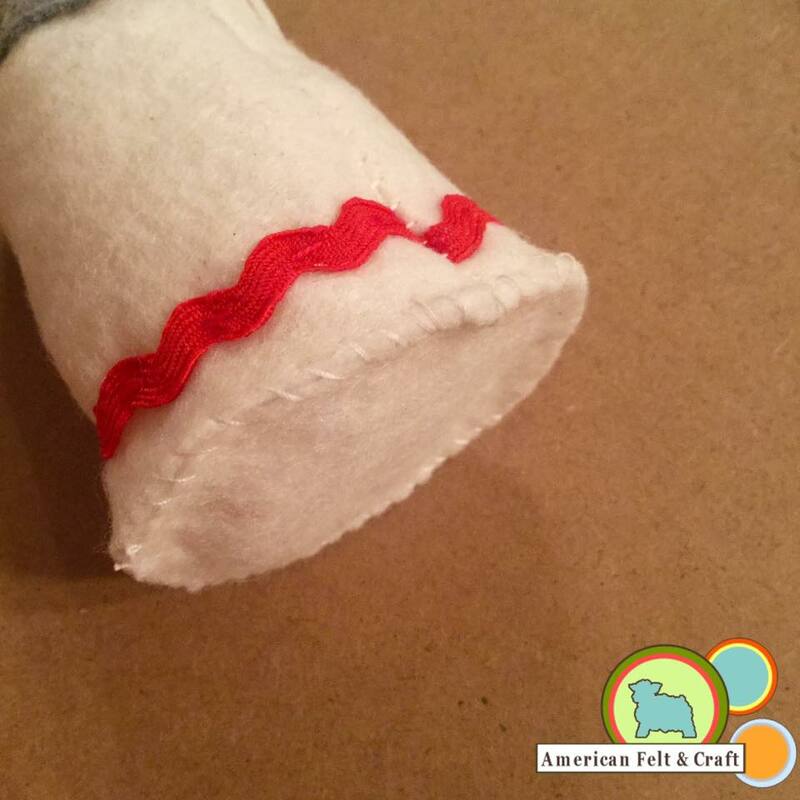 Sew base to shaker and turn right side up to settle rattle into the base. Push stuffing into open top. Sew shaker top to rim with an overcast stitch and grey thread. Spice up your felt food! 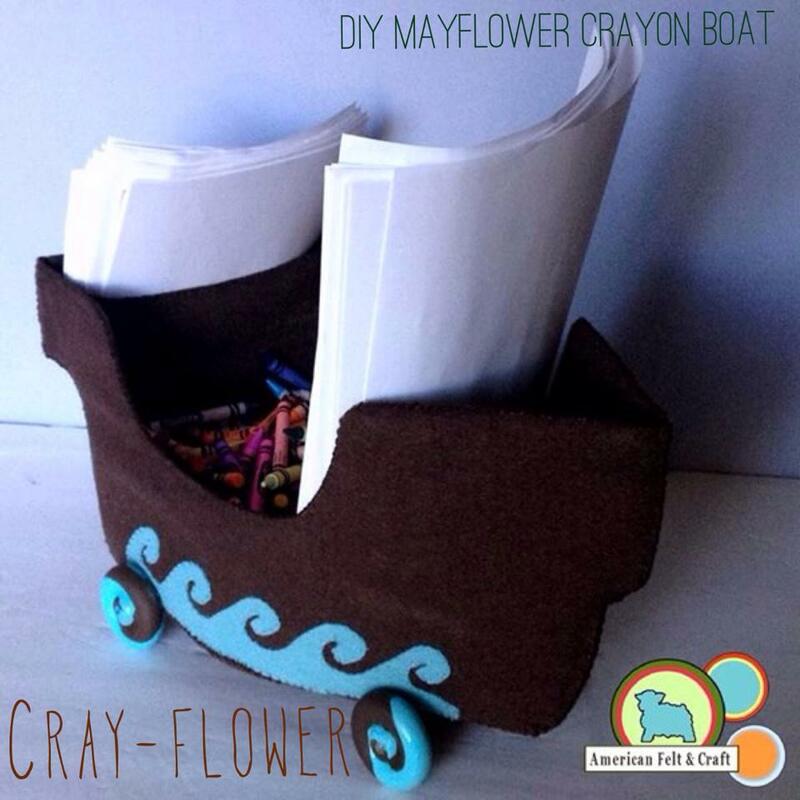 Cray-Flower – DIY Felt Mayflower Coloring Station Even the adults will be fighting for a place at the kids table when you add this fun rolling color station to your Thanksgiving festivities. 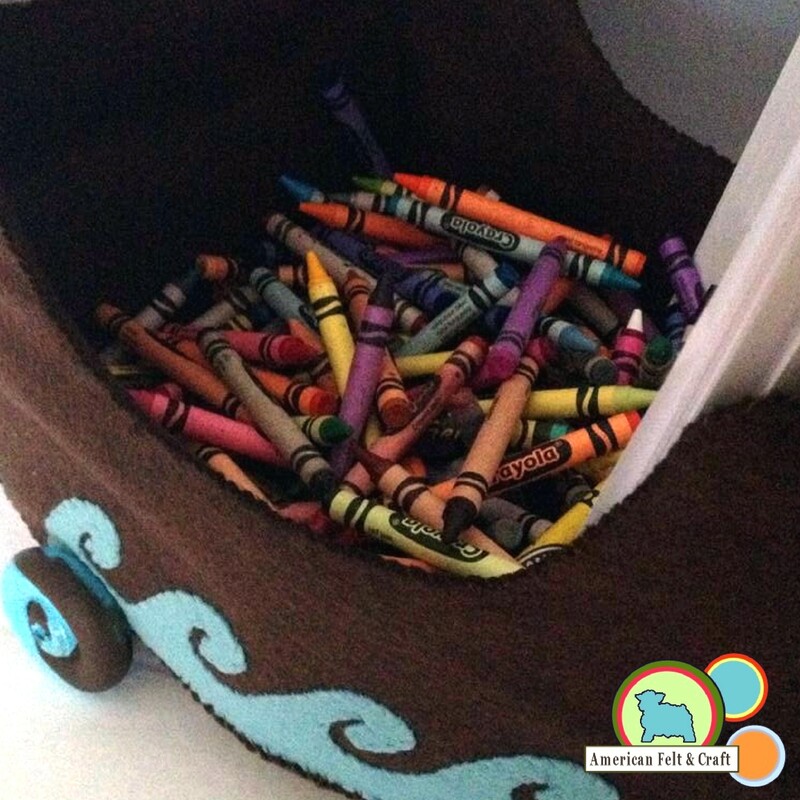 This ship is a fun Thanksgiving craft they will be thrilled to play with all year round. Passing crayons back and forth might prove to be more fun than the coloring. I really doubt acrylic felt has the strength to complete this project I used a high quality wool rayon blend. 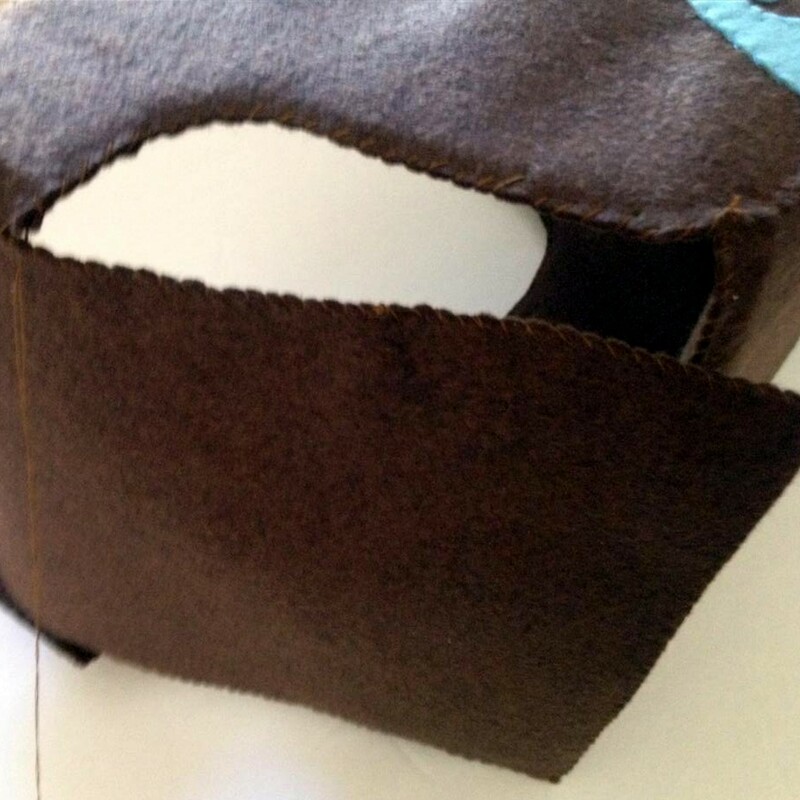 Cardboard scrap to fit boat bottom – you can also add some to the ships sides if you’d like to make them more sturdy but the doubled up felt will work fine. This Felt Thanksgiving Mayflower ship also makes one heck of a pirate boat. Cut the wave pattern from blue felt and the remaining pieces from brown felt – save some scraps to help attach the trolley later. Lets begin with the wave wheels since they will need to dry. 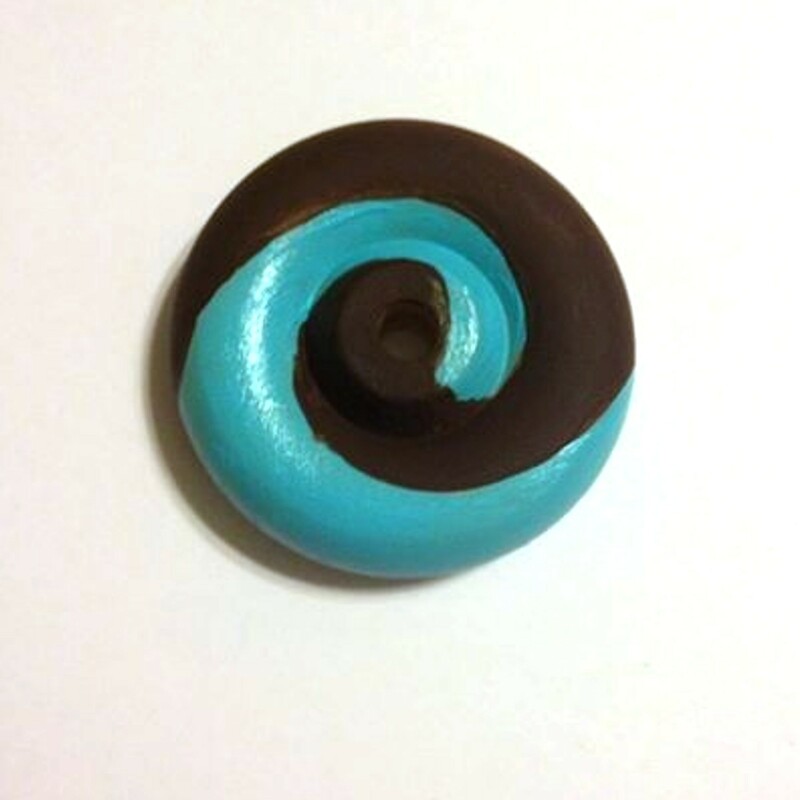 Paint wave design onto wheel as shown on templates. Repeat with all wheels. Paint dowels if desired and set aside to dry. You don’t need to assemble the wheels yet. 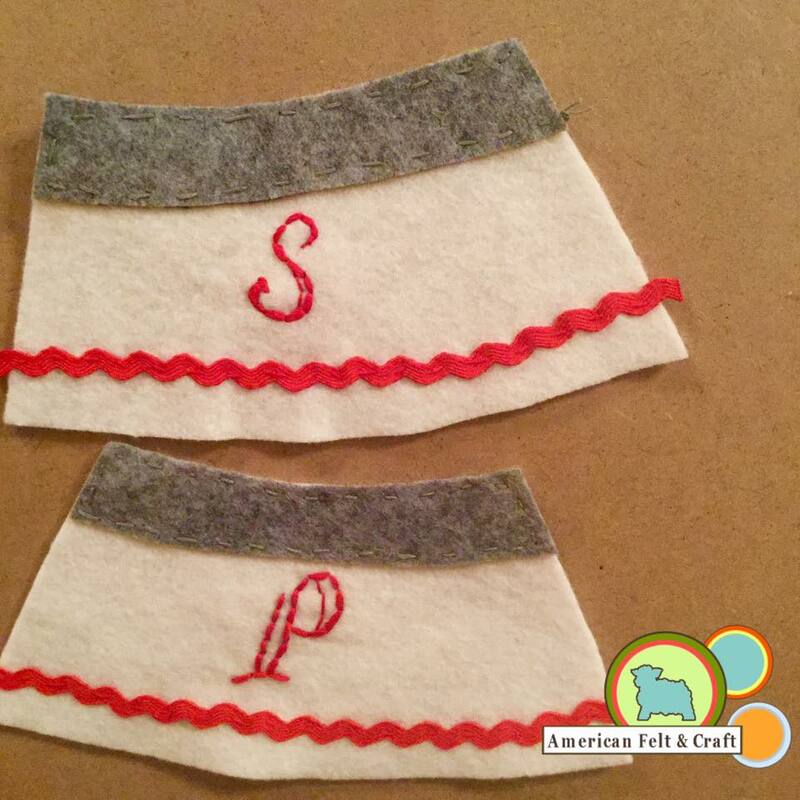 Sew the two boat backs (marked on template) together using an overcast stitch and brown thread. Do not add cardboard to this piece since you will need it to curve. Set aside. 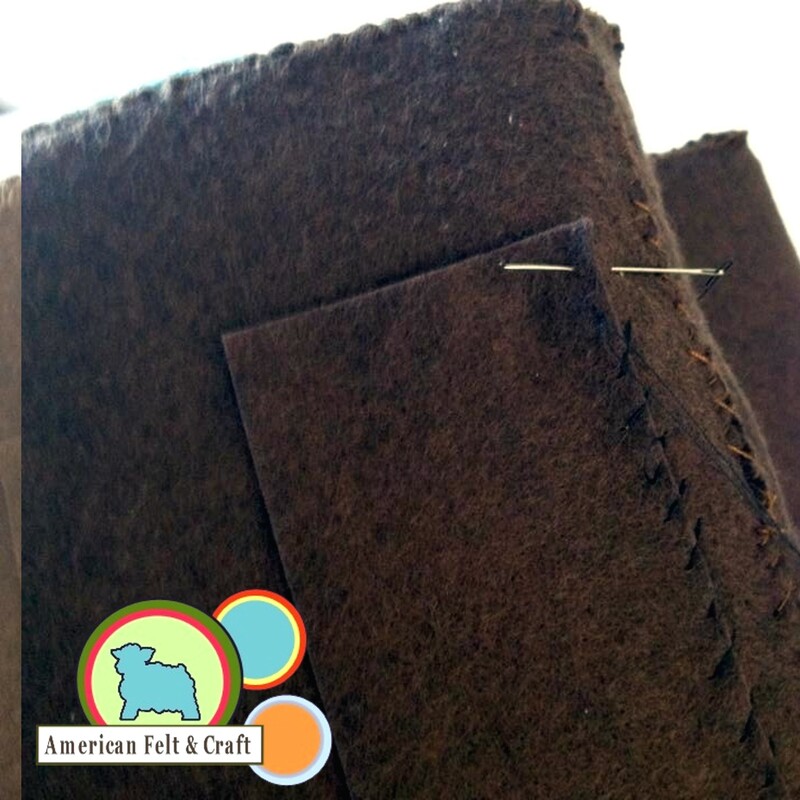 Sew shelf pieces together along the sides with an overcast stitch. Set aside. 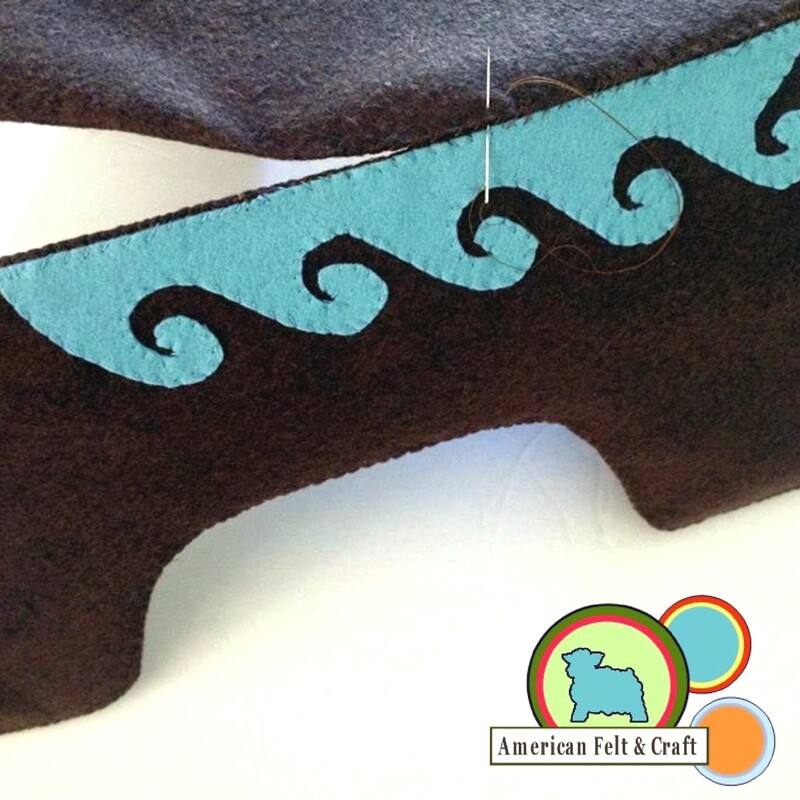 Add waves with matching thread to opposite sides of boat as shown. The curve of the wave should point in the direction of the rounded boat front. Sew second plain boat side to each side. You can place a piece of cardboard cut slightly smaller than the side template into the sides if desired but the boat will hold up just fine without it. Match sides up with waves facing outward and plain sides inward. Stitch rounded part of fronts together with an overcast stitch, stop when you get to the flat bottom. Cut a boat bottom slightly smaller than the template from cardboard. 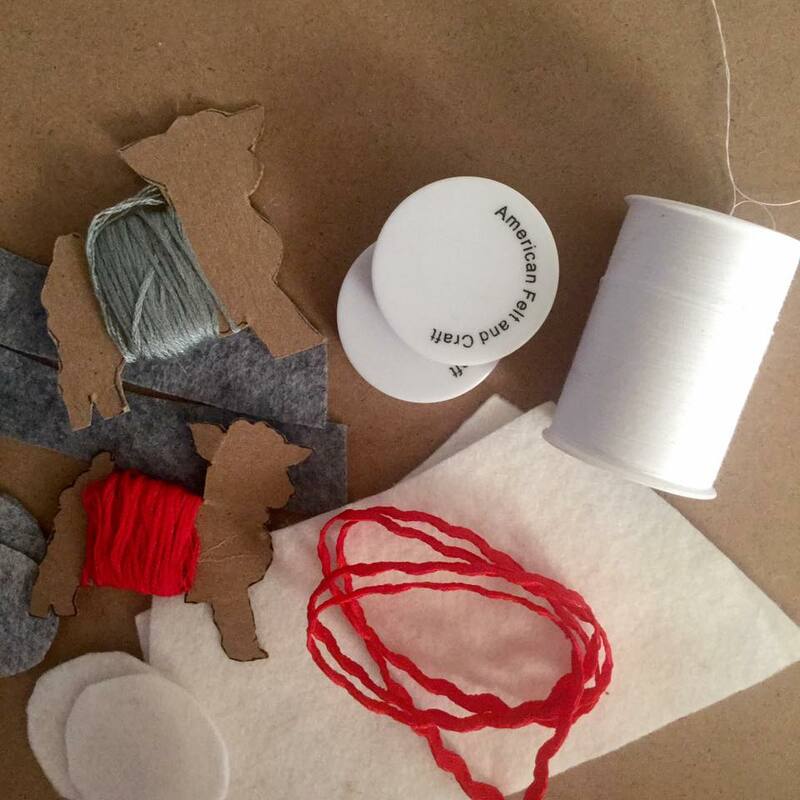 Sew two boat bottom pieces together with an overcast stitch and fill with cardboard for added stability. Bend sides around boat bottom and overcast stitch to base with brown thread. Continue until both sides are sewn down to bottom. Bend back piece around the open space in the back of the boat and overcast stitch from the top to the boat base. Fit shelf into felt Mayflower (or rather Crayflower) back. 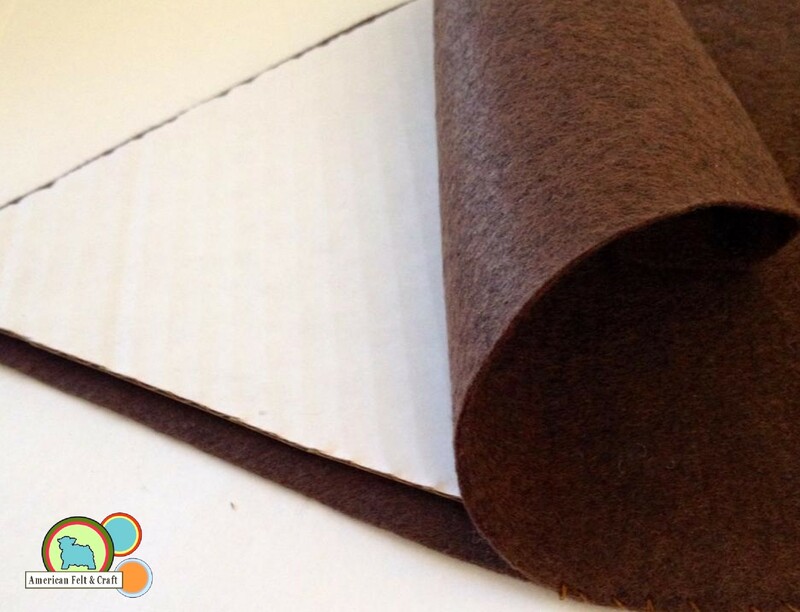 Attach with a few stitches along each side or felt glue into place. Now that we have finished our felt ship, let’s make it roll! 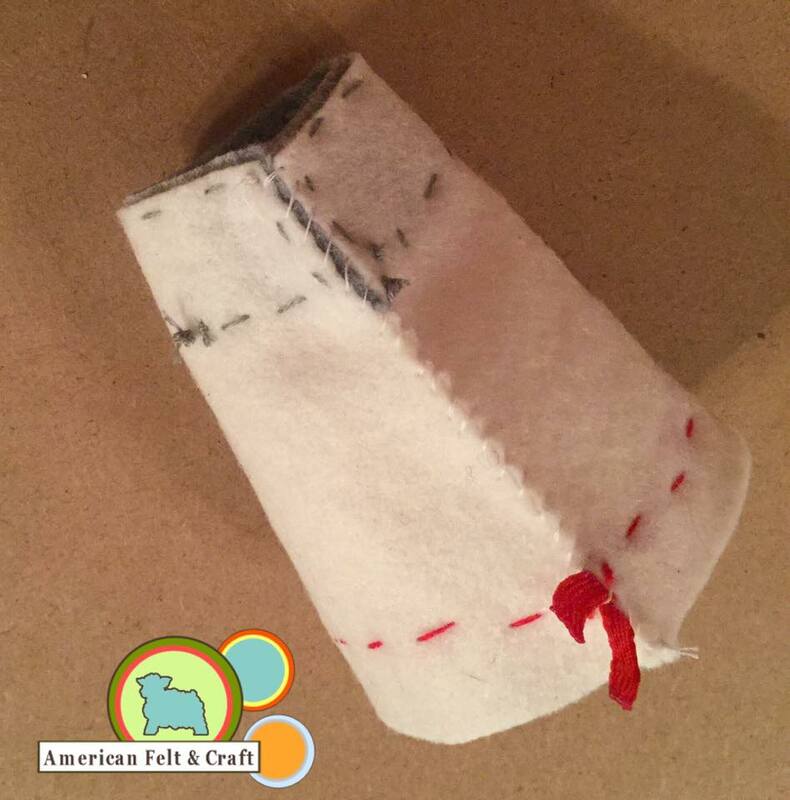 Use scrap felt to stitch a 2″ wide rectangle slightly shorter than each of your axles to boat bottom . Sew down along the long sides. The rectangle should lay flat. Slip axle through and fit wheels onto both ends. You can further secure these with glue if desired but they should fit on pretty tightly. 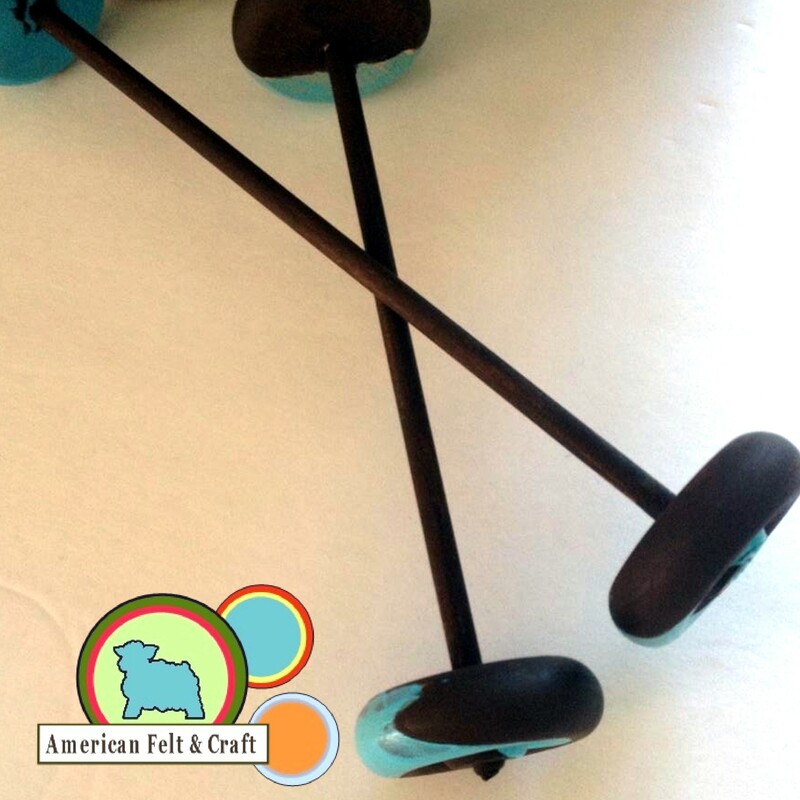 The wheels will spin inside their felt shaft making your Mayflower mobile. Cut some of the paper into 5 x 7 pieces to fit into the top shelf. Fill with crayons and inhale that sweet new crayon smell. Add full size printer paper to the ship to create ships larger sail.